In Spanish, Corte Madera means chop wood, and the west side of town is still surrounded by the beautiful redwoods that supplied lumber to help build the city of San Francisco. 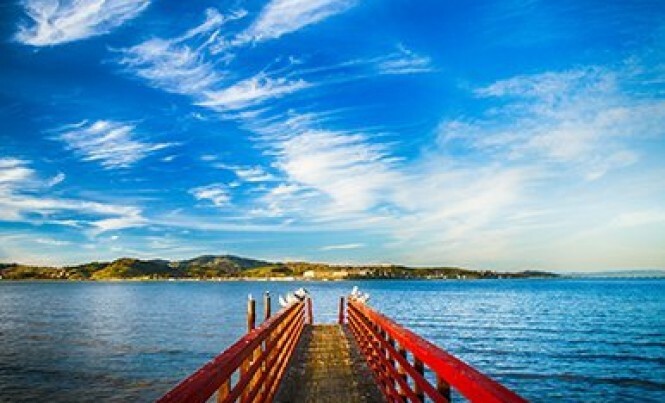 Locally known as the Twin Cities, Corte Madera and Larkspur share abundant charm, warm weather, a police department, and school district, though eastern parts of Corte Madera fall in Tiburon’s Reed Union School District. A plethora of shopping options abound at two upscale outdoor shopping centers, The Village and Town Center. Like most Marin towns, it’s a paradise for hikers and bikers. Even the local mall can be a nice place to spend time outdoors, as each Wednesday afternoon the Town Center is transformed into a farmer’s market, complete with organic produce and fresh baked goods. Corte Madera Town Park is the gathering spot for locals, with a playground, skate park, walking paths, summer camps for kids, and a fun 4th of July celebration. It serves as the main hub for a host of other sports activities as well. From the open space and flat lots of the east side and Corte Madera Gardens to the tree-lined, hillside neighborhoods of Chapman Park and Christmas Tree Hill, there’s a variety of flavors to explore and much to like about Corte Madera, including the convenience of the nearby Larkspur Ferry Terminal and easy access to highway 101 for a short commute to San Francisco.